DOESN'T MATTER IF YOU OWN A CLEITO - KEEP THEM OR TRADE THEM, YOU WIN! 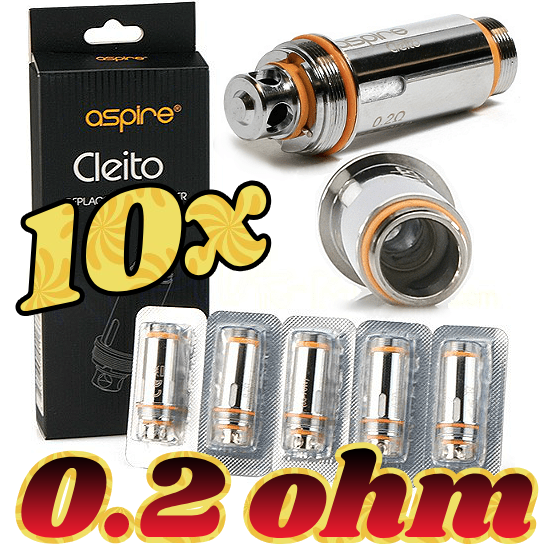 The winner of the lottery #987 for 10x 0.2 OHM ASPIRE CLEITO COILS was Krissa Holbrook from Chicago, USA on Aug 4, 2018. Not much to say about this one - A 50 euro value is yours for the taking! Like we said upstairs, keep them or trade them, it's up to you. Either way, you win! We always say this, but we can't stress it enough - SHARE US USING THE SOCIAL MEDIA BUTTONS ON THE SITE AND YOU WILL HAVE A MUCH BETTER CHANCE OF WINNING!